A Blog About Life, Motherhood and Of Course Beauty! I've spent the majority of my summer avoiding makeup. It's been too hot, too humid and I just haven't felt inspired to wear makeup that will quite literally melt off of my face. In the absence of makeup, skincare has become my best friend. I've always been into skincare, but I've never become obsessed with it. Until now. When I'm not out and about with the kids, I'm researching new ways to better my skin. In my quest to find the latest and greatest, I stumbled upon premium skincare brand Yehwadam. The people at The Faceshop were kind enough to gift me the brand new Yehwadam sub-line; Yehwadam Revitalizing Moisture. This new line is formulated for those with combination to oily skin and promises intense moisture without a sticky, heavy or greasy feel. Although my skin type is typically dehydrated and dry, the summer has my skin all f'd up. I'm currently somewhere between normal/dehydrated/combo. The joy! "Yehwadam is an anti-aging skincare line that brings traditional Korean herbs, ginseng and flowers into modern anti-aging. Yehwadam products are made with natural Korean ingredients processed by traditional methods passed down from one generation to another." Yehwadam Revitalizing Moisture Fluid ($40, 150 ml) is a water based product that combines toner and lotion into a single step. It's formulated with Fresh Water Flower which contains 5 types of traditional herbal ingredients including Korean Ginsing, Safflower and Goji Berries. I'm all about simplifying my routine, so I'm happy that this product can eliminate a step for me. I apply it after my serum and I find it absorbs very quickly - within a minute or so. It has a light scent and a non-sticky texture. What I like most about this lotion is that it feels very hydrating but without any sort of residual greasiness, heaviness or stickiness. My skin feels quenched and what I can only assume one would call 'normal'. I really feel like this is the perfect summer moisturizer for me. I'm not so sure it will cut it come fall, but for now it works amazingly well. If you have combo or oily skin, you will love this! Oh, and it comes with a pump and the bottle is huge. The value of this product is great - you get much more product, for less money than most. Yehwadam Revitalizing Moisturizing Cream ($55, 50 ml) is a lightweight gel-cream that claims to hydrate the skin without leaving it sticky. It's formulated with oriental herbal ingredients grown in Korea. Peony, Lotus, Safflower, Chrysanthemum, Honeysuckle, Ginsing and Goji Berry to name a few! Yehwadam Revitalizing Moisturizing Cream is light but more substantial than their Moisture Fluid. It applies like a gel but feels hydrating like a cream. I found it to absorb a lot slower and not entirely. I can still feel it on my face hours after applying it and it does feel slightly tacky for the first little while. I don't love it for summer days, unless I've been in the pool and my skin is parched, then it's great! I'm putting this one on the back burner for now, hoping to revisit it once the temperature starts to drop. Yehwadam Revitalizing Moisturizing Sleeping Pack ($35, 100 ml) restores moisture to skin overnight leaving it looking refreshed the next morning. It contains the same ingredients as the other two products in this range; Peony, Lotus, Safflower, Chrysanthemum, Honeysuckle, Ginsing and Goji Berry. I really, really like this sleeping pack. I think I may even like this as much as Shiseido's Ibuki Sleeping Mask. It goes on slightly sticky (like virtually all sleeping masks/packs) but unlike a lot of others, that feeling goes away fast. It feels crazy hydrating, I don't stick to my pillow and I wake up looking amazing. Can't beat the price either, it's a total win-win! This was my first venture into Yehwadam and I'm very happy so far. Two out of the three products I would purchase with my own money (Revitalizing Moisture Fluid & Revitalizing Moisturizing Sleeping Pack) and I'm certainly interested in trying more from the brand. If you've used any products from Yehwadam, I would love to hear your thoughts on them! *PR samples were generously provided for editorial consideration. As always, all opionions are my own. I remember being a kid and looking through Avon catalogues and feeling enchanted by all the pretty pictures. Makeup, lotions and seasonal items so colourful and fun! The concept was also intriguing and I would always want to order something for myself, too. 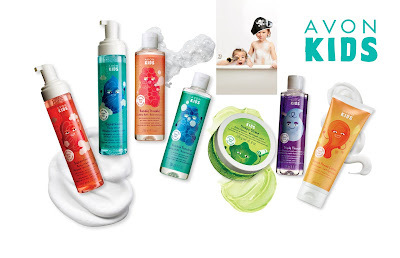 I almost forgot about that excitement, until I saw it on my daughter's faces when some items from Avon's new bath + body for kids collection landed on my doorstep! Foam anything will get my kids attention so they loved this as soon as I told them the name! We received the Apple scent and it has a light, fruity scent to it that we all agree smells nice. One pump is perfect for cleansing when paired with a bath pouf and it leaves their skin feeling clean without drying it out. My oldest has sensitive skin and she can use this without irritation. It goes without saying that this was a HUGE hit! I have yet to meet a kid who doesn't love slime and my girls are obsessed with this stuff. I'll admit I find it rather fun too and I was super surprised that they're actually pretty conservative with it. That's a good thing because a little goes a long way! It's supposed to be peach scented but I swear it smells like apples - whatever. It smells good regardless and my kiddos could care less about the scent, to them it's all about the texture! This lotion smells so good I want to wear it, and sometimes I do..shhh! I can't get over the vanilla marshmallow scent and how thick and creamy it is. It feels rich but not overly heavy and it absorbs quickly. My youngest practically baths in it so I've had to hide it because she literally cakes herself with it. Clearly, it's been well received! *PR samples were generously provided for editorial consideration. As always, all opinions are my own. Some of you may recall me reviewing RMR on my blog before (reviews here and here). I really do adore Robin's skincare and I'm sure you will, too! So what's in the gift box? And now the fine print.. 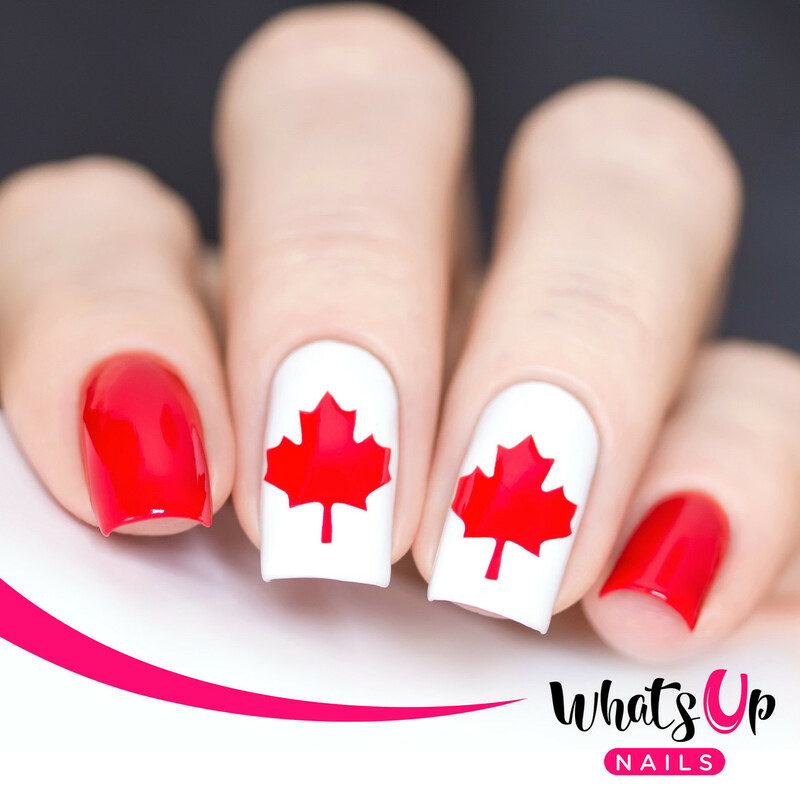 This giveaway is open to BOTH Canada (excluding Quebec - sorry!) and the US. You MUST be the age of majority in your province or state. After one week, I will announce a winner and they will have 24 hours to contact me. If they do not, a new winner will be drawn. All entries will be checked to ensure fairness. Prize fulfillment is the responsibility of the sponsor. DO NOT follow only to unfollow after the giveaway has ended - you WILL BE BLOCKED from ALL future giveaways. Have you heard of SIBU Sea Berry Therapy? They're an American, natural and cruelty-free beauty brand. For those of you who are familiar with SIBU, they have rebranded and relaunched in Canada under the name Sea Berry Therapy. The products have remained the same, just the name has changed! "The process by which Sea Berry is brought from the Himalayan Highlands to your shelf is nothing short of a labor of love, and it all starts with the Turkestanica Sea Berry. This tiny orange berry found only at 12,000 feet above sea level is known as the richest source of Omega-7 in the world, and has been used for more than 13 centuries because of its wealth of amazing properties, including 190 bioactive compounds." I was fortunate to have been gifted two Sea Berry Therapy products to try, and spoiler alert, I LOVE them both! "Deep yet gentle cleansing is the basis for effective facial care at every age. This naturally antibacterial sea buckthorn face wash gently removes dirt, impurities and make-up while maintaining a healthy balance in your skin without compromising its natural protective nutrients. Sea Berry Polishing Facial Cleanser is perfect for sensitive skin, and will leave your face fresh, clean and perfectly balanced." Sea Berry Polishing Facial Cleanser has quickly become a favourite of mine. It comes in a pump (love pumps for EVERYTHING) and it really gets my face clean. It removes makeup, gets the oil and grime off, but it doesn't strip my skin. The exfoliation is mild but noticeable and it leaves my skin feeling smooth. Typically washing my face leaves my skin feeling taut and dry but not with this cleanser. I will definitely be purchasing it with my own money once this bottle is empty! "Experience the ultimate in skin hydration. This light, non-oily serum penetrates deep into your skin to help deeply hydrate your face and neck & eliminate flaky, dry skin. Infused with vitamins, Hyaluronic acid and Sea Berry (Sea Buckthorn) extract, this serum fortifies the skin against the aging process and helps repair damage at a cellular level." Hydrating Serum is made with Hyaluronic Acid for deep hydration and is suitable for both oily and dry skin types alike. This lightweight serum has a pleasant scent and it absorbs so fast. My Skin feels soft and supple immediately after applying this. I find it adds a supple radiance which is always nice. If you have dry skin like I do, you will want to follow up with a moisturizer or cream. Oily skin types may find that this is all they need. Two thumbs up for this serum! I am definitely interested in trying more from the brand so if you have any recommendations, I'd love to hear them! *PR samples were generously provided to me for editorial consideration. As always, all opinions are my own. Hello beauties! It's been a hot minute since I posted and I think an explanation is needed. I wish I had an exciting excuse (ahem reason) but I don't. I've been feeling uninspired and it's been crazy hot so I haven't worn much makeup lately. I've also done the unthinkable and have been spending more time offline - yes you read that right. I've been enjoying the real world and sorry, not sorry. Sometimes a girls gotta stop and smell the roses, swim in all the pools and just soak up the sun (with sunscreen on, obviously). But as they say absence makes the heart grow fonder, and I've missed you all. As I ease my way back into regular posting, I thought I would share a short and sweet review of Sothys Spring/Summer Collection. Sothys Spring/Summer Collection takes inspiration from Sothys garden and the super greens trend that showcases lush nature and an invitation to freshness. Personally I don't see the connection, but I must admit I do like the shade choices! Ombre Sothys - Eye Quartette ($68.50) contains four new complimentary shades that can be used dry or moist, separately or in harmony. Each shade is iridescent and they are easily buildable and blendable. Although I like the shades, I don't find them to be the most exciting. I really wish that there were a matte transition shade because without it, this quad just feels incomplete. The shadows are quite nice and they wear well with minimal creasing or fading which is super important. Sothys has two lipsticks in this collection, one satin and one matte. They look very similar in swatches and in real life as well. The main difference is that Rouge Intense Sothys 235 Rouge Roseraie ($35.95) has a semi opaque, satin finish whereas Rouge Mat Sothys 330 Orange Escapade Velours ($35.95) is more opaque, kind of matte and a touch warmer. The tone difference is super subtle so I wouldn't focus too much on it. For those who aren't makeup addicted, I recommend picking your finish preference as they are so similar in colour. Both wear well and are definitely comfortable. Sothys does lipstick well. Really well. They taste good, glide on and feel so amazing plus they wear for hours. There are a few other items in this collection that are not included in my review; The Calligraphy Eyeliner ($33.50), Sun Glow Bronzing Powder ($61.50) and a Nail Lacquer ($19). Although I haven't tried these particular items, I will say that from experience, Sothys nail polish is quite good (review here). *Press samples were generously provided to me for editorial consideration. All opinions are my own. When it comes to summer skincare I adopt a less is more attitude. I don't want to layer on tons of skincare, so I rely on 'one and done' formulas to give me a healthy glow. When it comes to body care, I adopt the same attitude. I go for a light lotion and then cover myself in sunscreen. 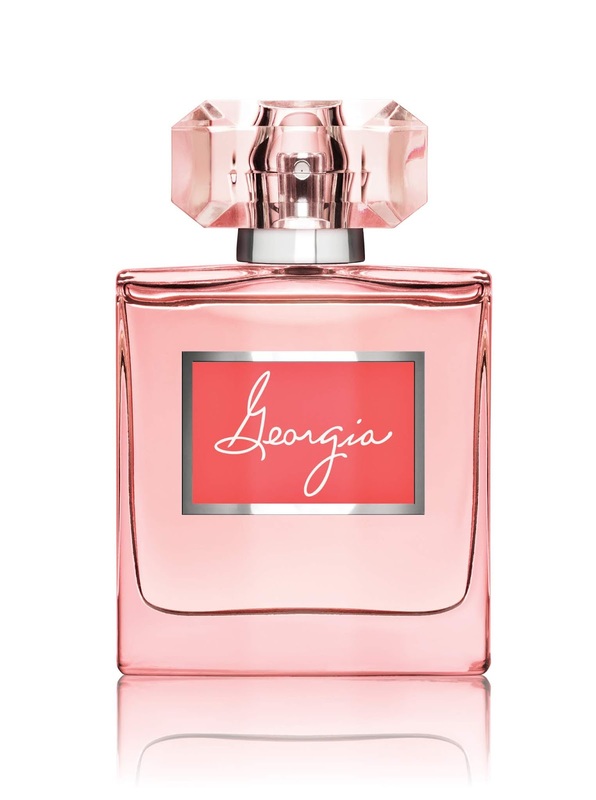 I adore summer scents (sunscreen, coconut, monoi oil, light florals) and I will always give preference to summer scented products over wearing perfume as I find my favourites are often too heavy for the heat and humidity of summer. These new additions to the Palmer's range drench the skin in rich moisture for dewy, radiant skin that looks lit from within. These products are free of harsh chemicals, contain ethically and sustainability sourced Coconut Oil and Tahitian Monoï Oil, infused with Tiaré Flower Petals. Did I mention they smell like a summer dream?! My favourite of the three has got to be the Coconut Oil Body Lotion. It's light, fast absorbing and gives my skin 24 hour moisture. It smells like delicious coconut and monoi, without being overpowering, and its formulated without parabens, phthalates, mineral oil, gluten, sulfate or dyes. This lotion is the bomb dot com and I can see myself using it year round reminiscing of carefree summers. Palmer's Coconut Oil Body Oil contains the same hydration benefits as the lotion but in concentrated oil form. This Body Oil doesn't smell quite as strong as the lotion which is a slight let down for me, but it still smells nice. It adds an instant touch of radiance to my skin and I am here for it! This oil sinks in and doesn't feel heavy on but it is an oil and I'm not that into oils in the summer. Having said that, I would wear it if I were going out in the evening because it adds such a lovely glow. Lastly, Palmer's Coconut Oil Luminous Hydration Facial Oil. I wasn't expecting much from this facial oil and I'm not exaggerating when I say that it's really good. Now I haven't been using this consistently so I can't really say what the long term effects are. I will say that upon application my skin looks glowing (not super dewy - thank goodness) and it feels super smooth. Surprisingly enough it's fast absorbing and my skin is perfectly balanced requiring no additional creams or lotions. I can see myself really getting into this come fall when I want to glow and need the extra boost of hydration. Currently, I'm only using it in the evenings when I need a little pick me up. Oh, and I should note that it's important to exercise caution when using oils in the summer. Make sure to always apply sunscreen and use oils sparingly - you will burn otherwise. I learned this lesson the hard way many years ago. TLDR; I am LOVING Palmer's Coconut Oil Formula and I know that you will too! And guess what? 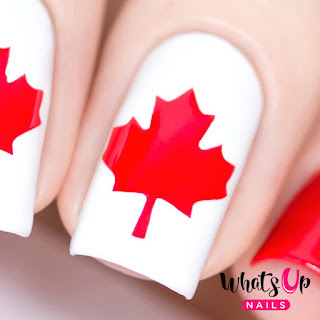 I've partnered with Palmer's to give THREE of my Canadian readers the chance to try these three products too! Hurray!! Entering is simple; find my Palmer's post on Instagram and follow the instructions for your first entry (mandatory). Then come back here and leave a comment to gain a bonus entry. And don't forget to include your Instagram handle with your comment so I can assign you your bonus entry. I will be drawing 3 winners in a week and the sponsor is responsible for prize fulfillment. Canadians only and absolutely no giveaway accounts. 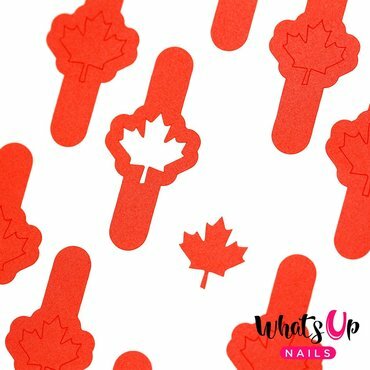 I was fortunate enough to partner with them to give 10 of my readers the opportunity to try Whats Up Nails Canadian Flag Nail Vinyls totally free (shipping included) with no strings attached! Thanks for stopping by! My name's Christine and I'm an all-things-beauty blogger from Toronto. I have a serious addiction to eye shadow palettes, red lipstick and blinding highlights.